It’s officially fall, but it feels like summer is just getting started in the Bay Area, so I can’t exactly bust out my fall layers and big boots just yet. 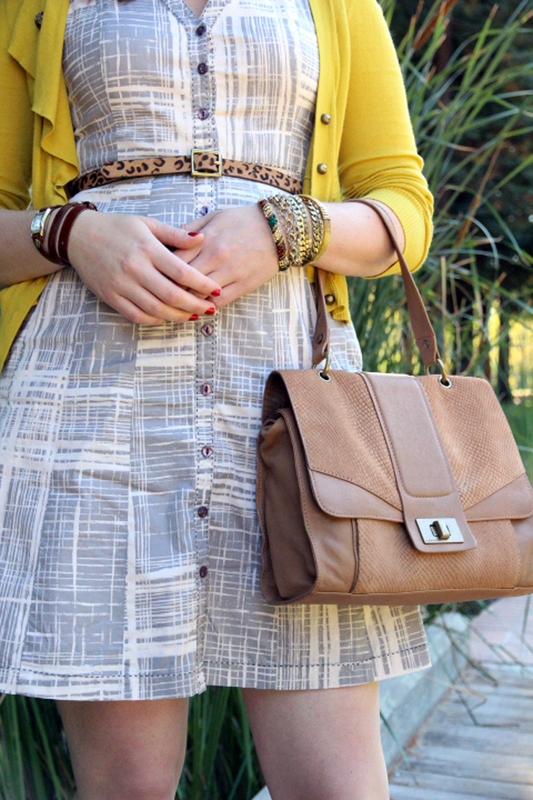 I decided to compromise in this ensemble by mixing a fall color palette with summery pieces. How do you deal with the awkward season change days? You look so very chic! I think I need a leopard print belt! Love all of it, especially the leopard print belt! Thanks Sara! I got this belt on a whim and now I want to wear it with everything. I’m glad you like it!